Photos taken at Yellingbo Nature Conservation Reserve during 2017. For photos from earlier years see 2011-12, 2013. Image at top of page: edge and gills of Macrolepiota species (as far as I can tell). 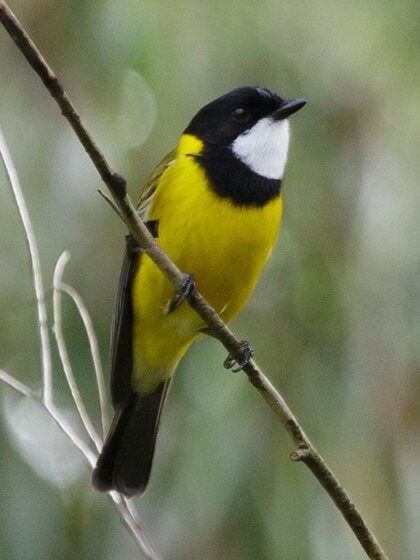 Showers of rain and brief bouts of gentle sunshine alternated on this Yellingbo Sunday walk for eight members of BirdLife Australia. Being May and rather cool and dark at times, the birds were quiet. During one brief sunny spell a male Golden Whistler flew about in trees near the track, perching for a moment here and there. During an earlier break between showers, numerous Welcome Swallows wheeled continuously across and back over a farm paddock. Another plentiful species was Superb Fairy-wren. These active little birds darted about on the wet grassy walking tack and in and out of the bushes beside it. We recorded 27 bird species altogether. 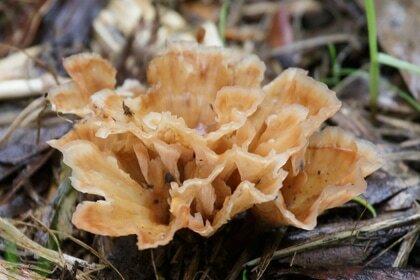 This wet day was good for finding fungi of various different species. A leech managed to crawl up onto my face during lunch, but I felt it moving and put it aside. Fungus growing in grassy track. I must try harder to identify it; so far I have been unsuccessful.